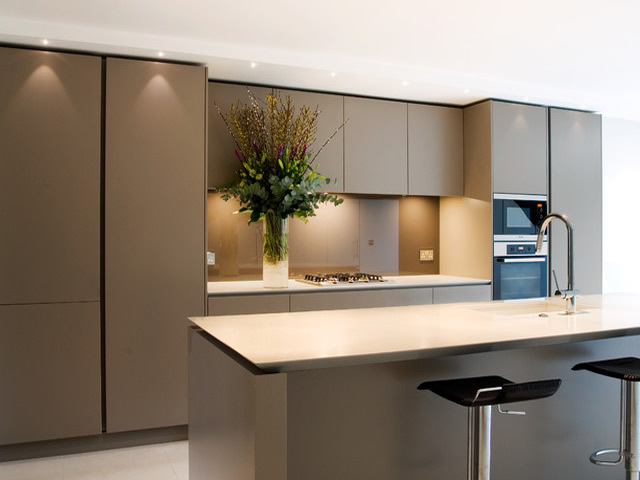 Our range of colours & finishes are too extensive to show on any website, please call & let us know your exact requirements Tel 01737 770814. 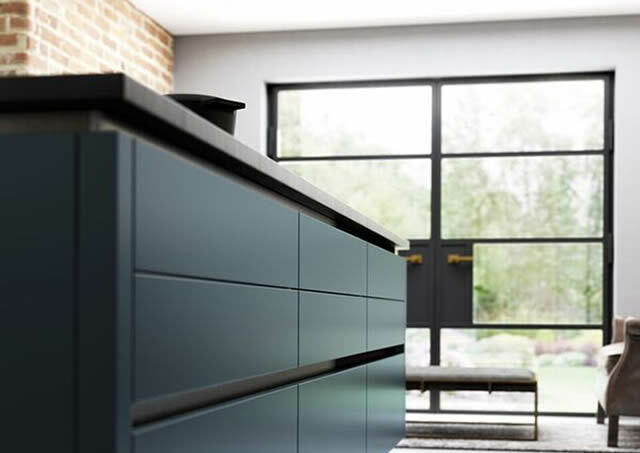 For that truly bespoke look, we can now supply the handle channel in Black, Brushed copper & Bronze in addition to Brushed Aluminium. 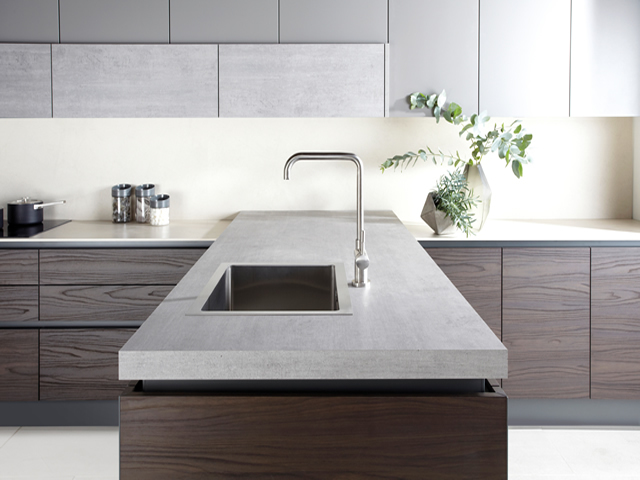 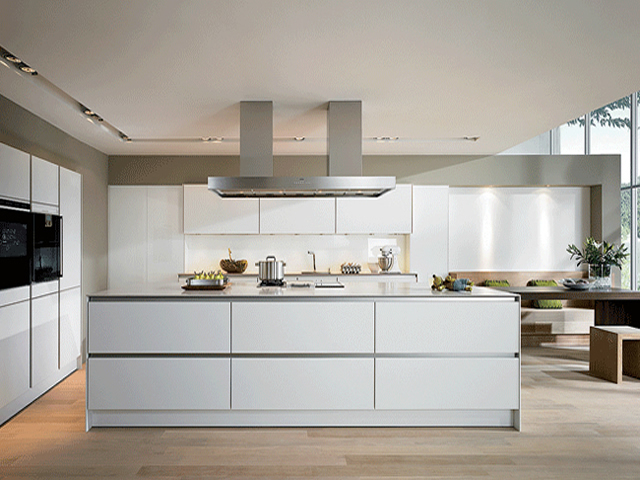 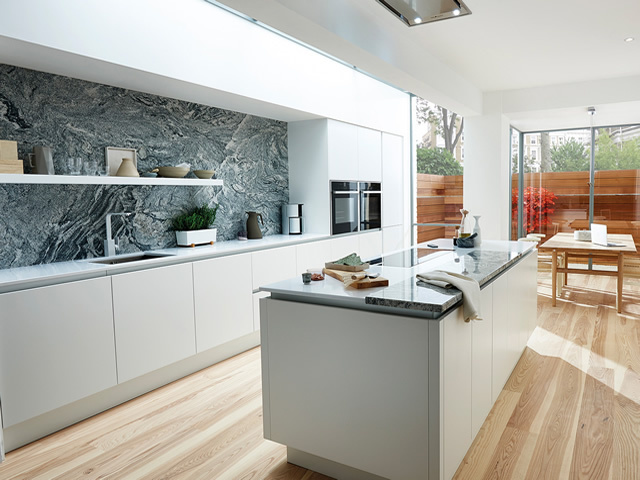 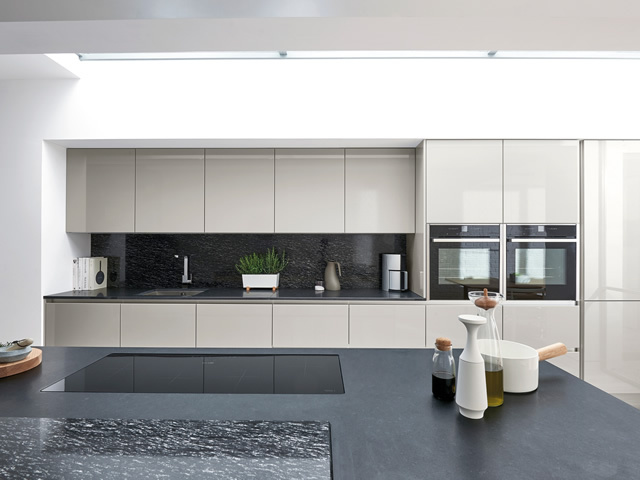 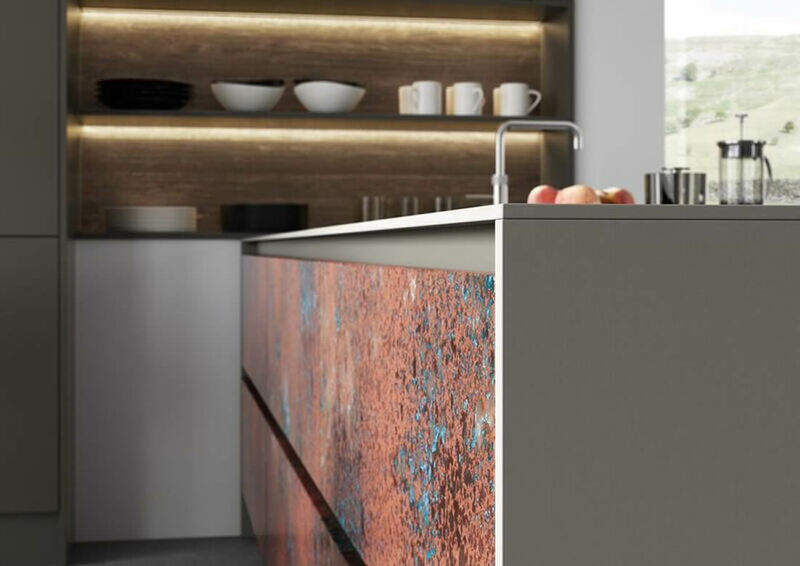 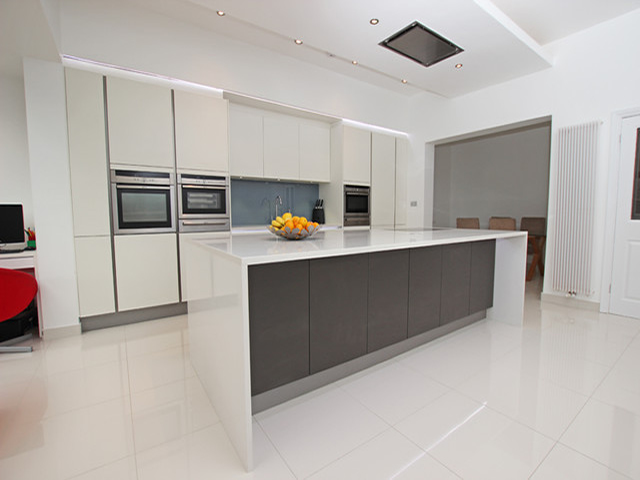 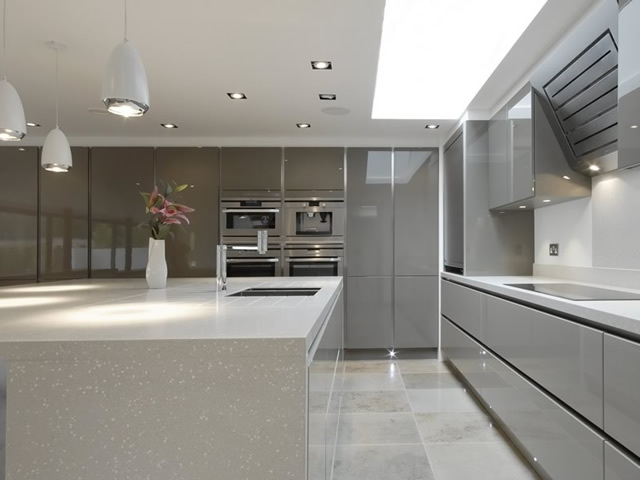 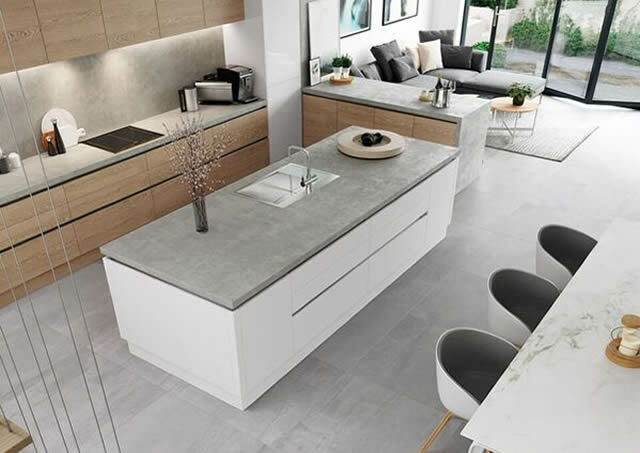 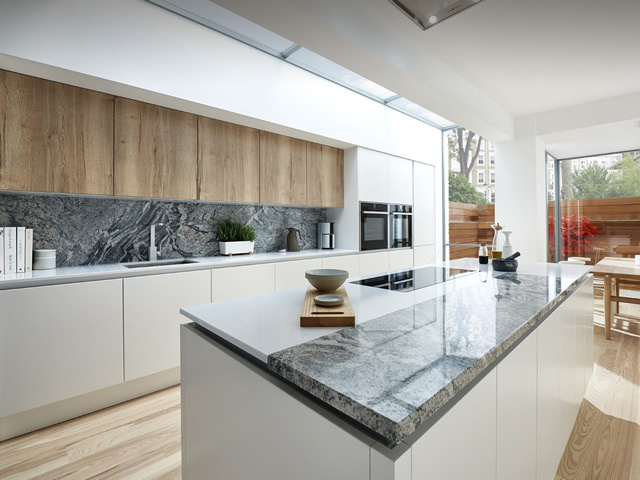 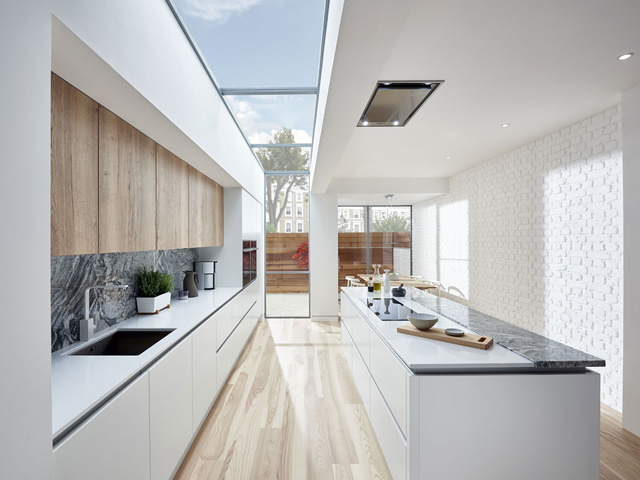 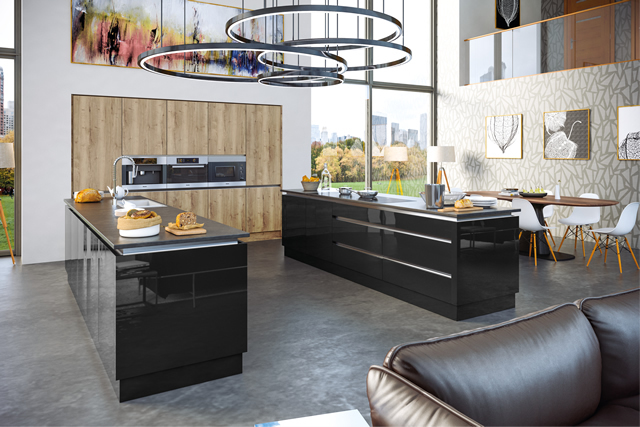 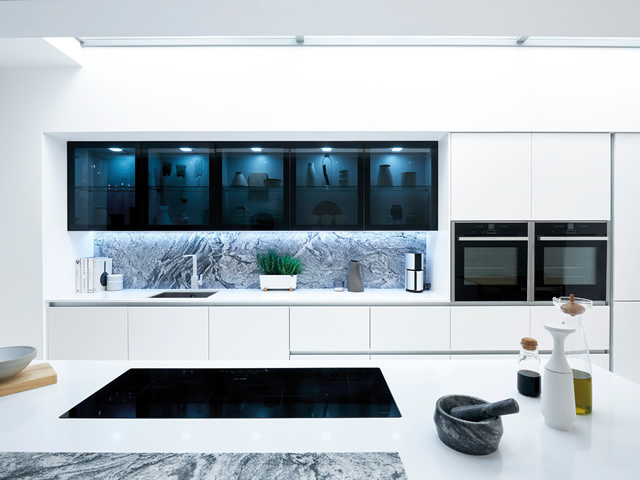 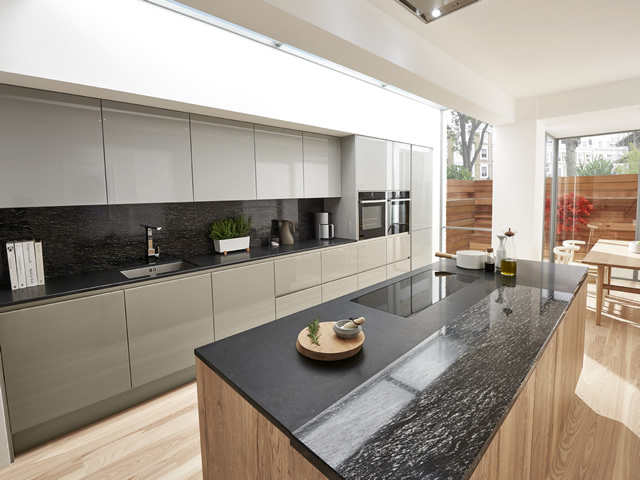 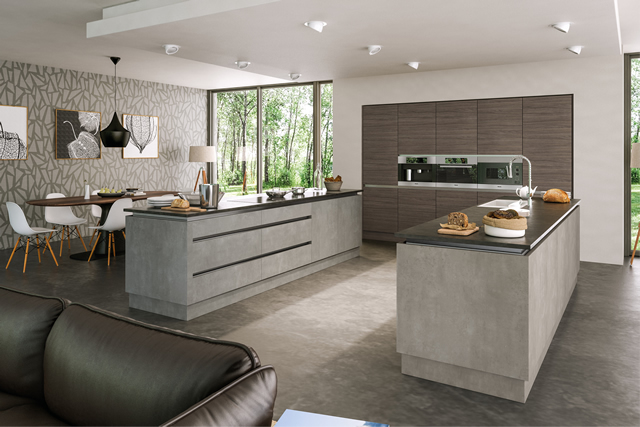 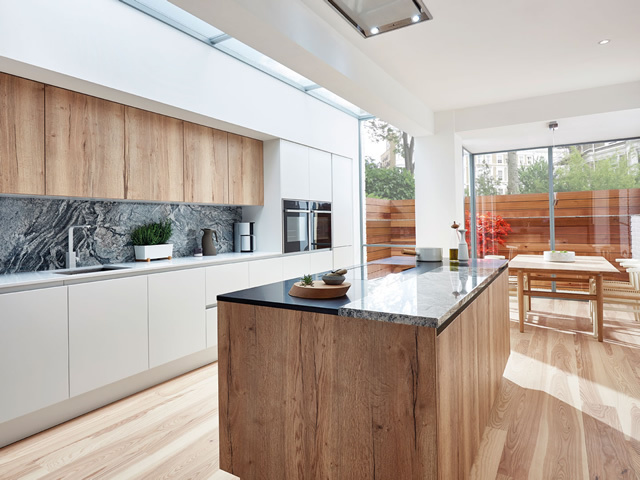 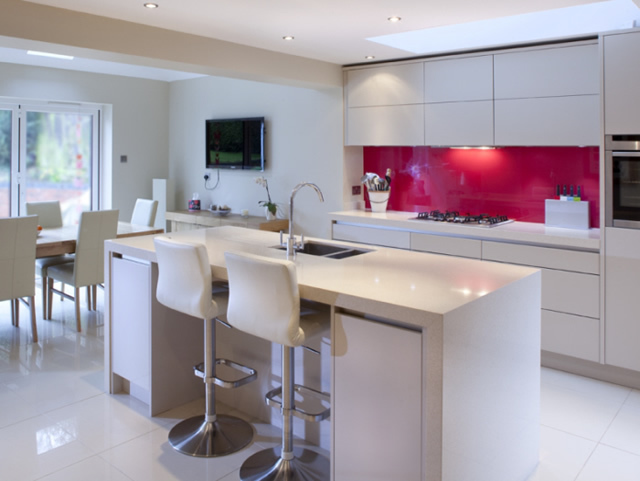 Our range of true handle-less kitchens with an “Extruded Aluminium profile” allows for easy opening. 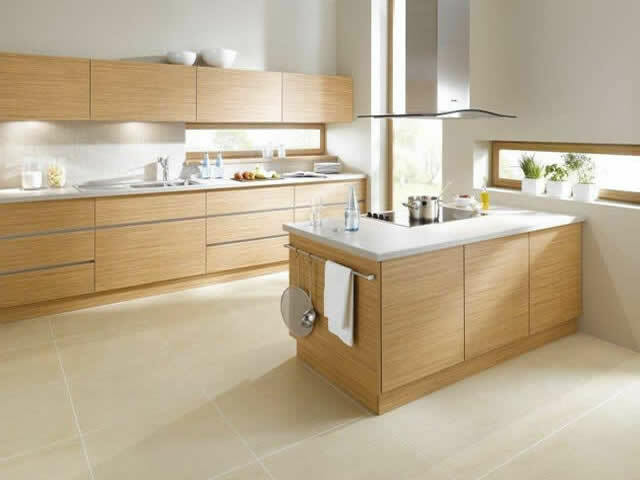 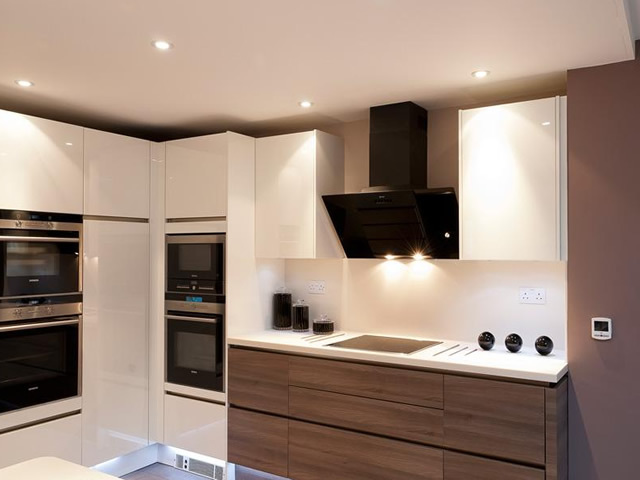 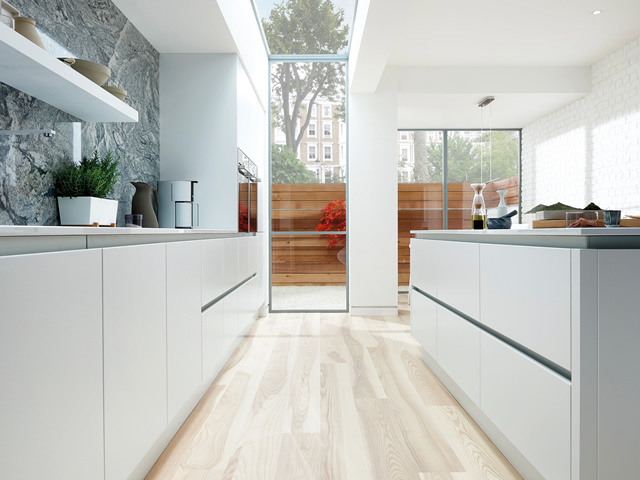 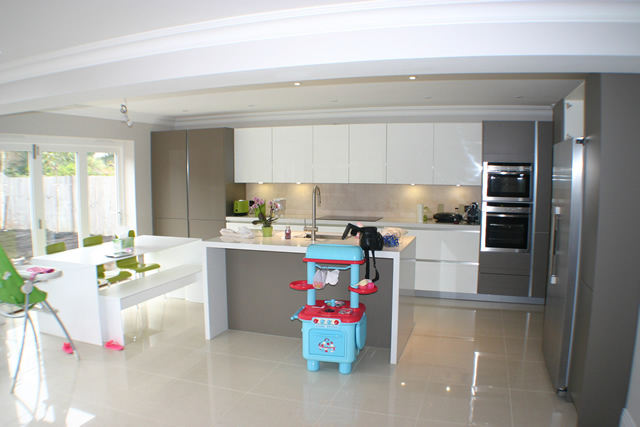 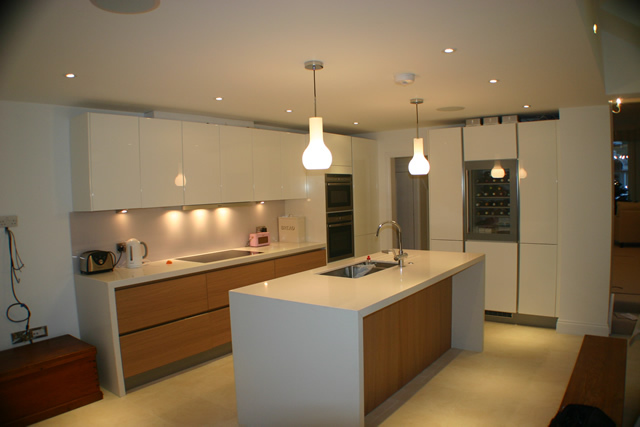 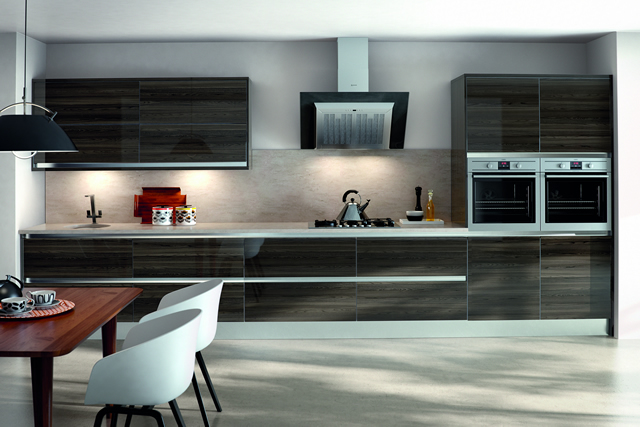 The range is huge & comes in 1200 matt, satin & gloss colours & many real wood veneer finishes.